Pharmacists are a great asset to any surgery. Their experience of treating long-term conditions and specialist qualifications make them the perfect candidates for GP pharmacist jobs. They can reduce the workload of overburdened GPs and provide patients with valuable additional services. Part of the GP practice pharmacist job is to share knowledge with other staff and advise them on better medicines management, reducing costs and saving money which is also of huge benefit to the surgery. Indeed the NHS England commission for pharmacy services has indicated the many advantages of the creation of GP pharmacist jobs. 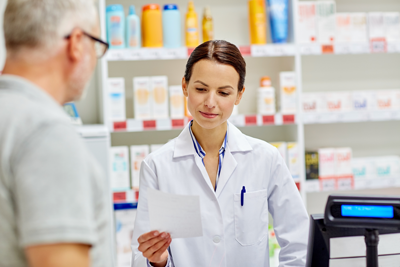 Practice managers seeking to recruit for a GP practice pharmacist job need to ensure that they find the right person to fill the role – a pharmacist with the right qualifications and outlook to complement the rest of the medical team. Not only can this be time-consuming, it can also be confusing, if you don’t know where to look to find those of the standard required to execute a GP pharmacist job effectively, reliably and efficiently. Pharmaseekers can help. Our pool of vetted, qualified and experienced pharmacists, many of whom are independent prescribers, have a range of service accreditations that will make them a welcome addition to your existing staff. Together, we can ensure that GP practice pharmacist jobs are filled quickly, easily and most of all appropriately. Contact Pharmaseekers online, by phone or email with descriptions/specifications for your GP practice pharmacist job vacancy. We will search our database for suitable candidates for your specific GP pharmacist job requirements. You can review the suggested pharmacists’ details. Try your chosen pharmacist at your surgery on a locum basis to see if they fit in with your team and can correctly carry out the GP pharmacist job. Approve your new GP pharmacist or request a new candidate. Our locums who indicate a preference for GP practice pharmacist jobs are enthusiastic and eager to help alleviate the strain on the NHS service by providing GP pharmacy services within practices. Let us put you in touch with them. When deciding to recruit for a GP pharmacist job in your surgery, you’ll discover that patients as well as staff members can benefit from the services of a permanent pharmacist. Patients with conditions that can be treated by a suitably qualified pharmacist or independent prescriber will experience shorter waiting times as well as have access to medication reviews and medicines optimisation. What Are The Other Benefits Of Pharmaseekers? We respond swiftly to all requests for GP practice pharmacist job placements, usually within 24 hours. Register now with Pharmaseekers to gain access to our full service. We’ll be able to help your surgery find suitable candidates for any future GP pharmacist job vacancies, and provide locum cover for GP pharmacy staff holidays or unexpected absences, quickly and easily – saving you time and money. To fill a GP practice pharmacist job vacancy in your practice or register for locum GP surgery pharmacist cover, get in touch with Pharmaseekers today.